The Hen and Chickens Theatre on Highbury corner is found in the slightly dingy upstairs of the Hen and Chickens pub. This inauspicious place is actually a great venue to see comedy sets by both up and coming comedians practising for the Edinburgh Fringe Festival, and well established comedians practising for their tours. Tickets are cheap. We paid £7.50 to see Thomas Nelstop. Jenny Eclair had been on just before. The theatre is the size of roughly 200 shoeboxes stacked. So with an audience of only a handful there's no escape from potentially dangerous eye contact with a comedian looking for a victim. Drinks are allowed too - but only in plastic cups least the act you're seeing gets too abusive and you feel like glassing them. 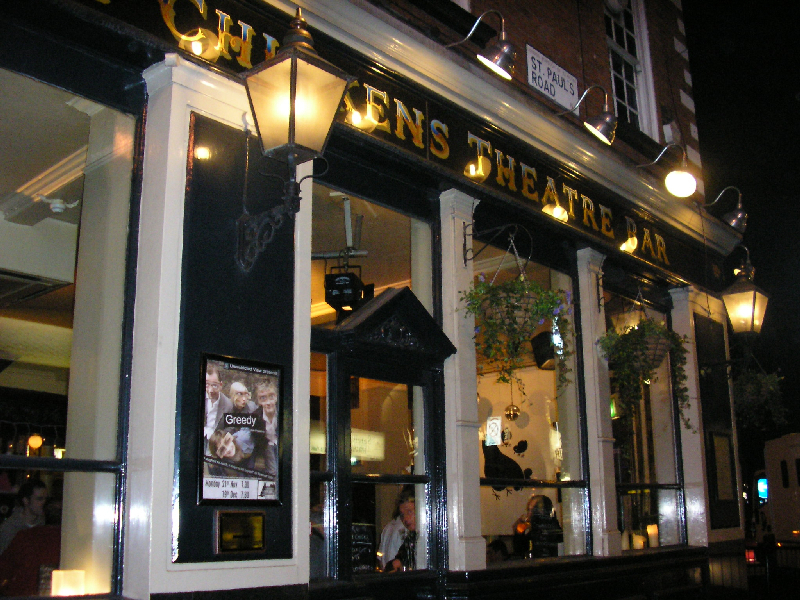 The shows at the Hen & Chickens are selected for their fun, relevance, humour, writing, quality of actors and directors, the promise of exciting companies, innovation, exploration of ideas, and enjoyment. We tend to veer towards light hearted productions and do our best to support producers/performers striving for excellence in their field." Downstairs in the bar on Mondays there is also a pub quiz. If you come early for the comedy, expect to get sshhhed by the loud scouse woman who runs it.